ABC is the largest building industry trade show in the Northeast, drawing approximately 6,500 participants from the Northeast region, including residential and commercial builders, developers, remodelers and subcontractors, plus a variety of manufacturers, suppliers, and consulting professionals. The convention features nearly 400 exhibits showcasing the latest products and services to a large and diverse audience of decision makers. Attendees gain up-to-date information about the latest market trends, government policies and technical developments at educational seminars. Visit http://www.abconvention.com/. BPAC supports candidates for election to public office who have demonstrated their unique capacity, understanding and willingness to improve housing and living conditions in New Jersey by stimulating housing production and related construction activity. Additionally, BPAC works to educate members of the industry on critical construction and housing-related issues. BPAC raises funds, makes contributions and works tirelessly to attain the purposes and goals stated above. 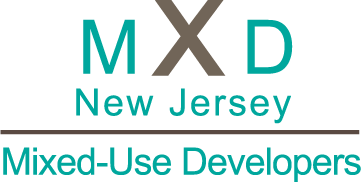 New Jersey Mixed-Use Developers (MXD), an affiliate of the New Jersey Builders Association (NJBA), was formed in June 2011. Leaders in residential, commercial, redevelopment and mixed-use development have come together in response to the evolving land use patterns in New Jersey. MXD will unite the voice of businesses involved in the construction of multi-family housing, retail and office space – otherwise known as mixed-use production, in New Jersey. MXD, along with NJBA, will advocate for providing diverse housing choices, as well as commercial mixed-use developments that will facilitate the availability of housing and workplaces for all New Jersey residents. A non-profit entity, the Foundation for Housing, Inc. was established in 1999 to increase and improve housing for families of modest means within the state of New Jersey. The National Association of Home Builders (NAHB) is NJBA’s national affiliate. When you join NJBA, you become a member of the state (NJBA), national (NAHB), and one of four local organizations: the Builders Association of Northern NJ, Builders League of South Jersey, Metropolitan Builders & Contractors Association of New Jersey, or the Shore Builders Association of Central New Jersey. To learn more about the regions each local covers, please visit our How to Join page.